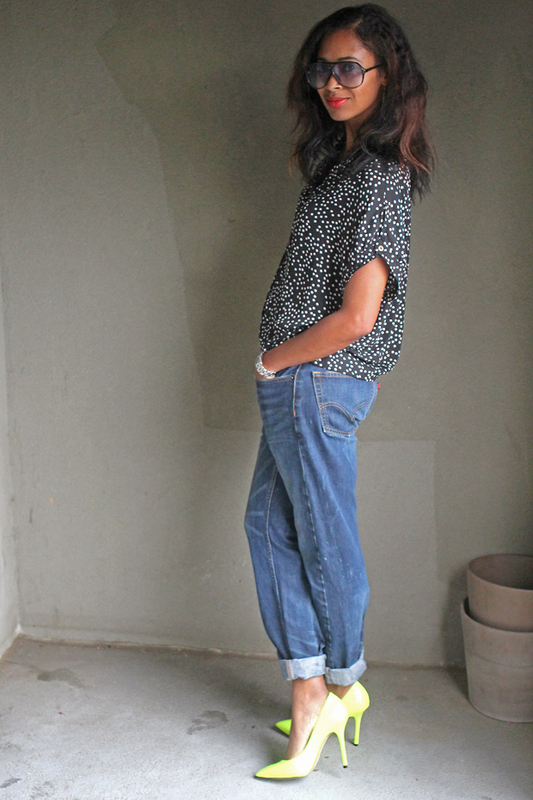 In this outfit post, I decided to re-create what I wore in my previous post when me and hubs went to Coast restaurant. I had planned on taking pics that evening, but never got around to it. So I put on exactly what I had on that day. The only difference is straight hair. 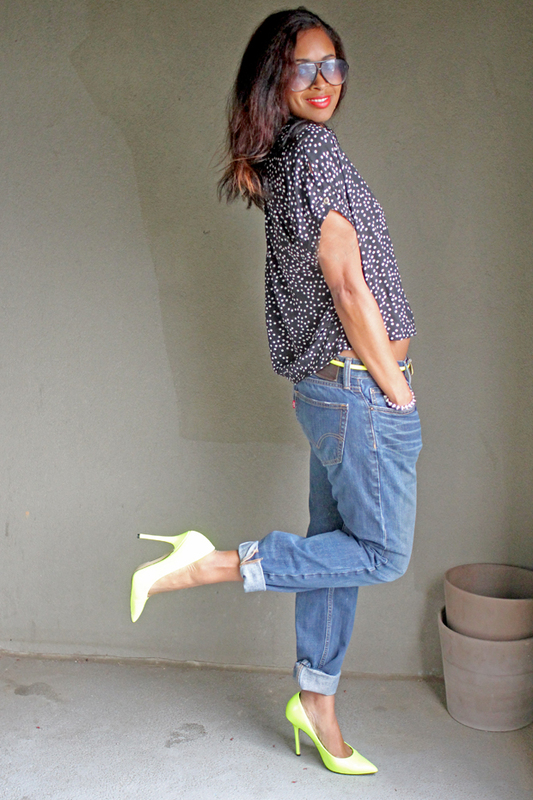 By the way, that was the first time I wore the new neon pumps out, and let me tell you... I got complimented FIVE times by random women (we only went one place). Hubs thought it was the funniest thing! I had to reiterate to him, don't question momma's steelo (style). He may not get it--but trust, the girls do! Anyway, have a great weekend! Don't forget, it's Friday Wine Day! It's an hour past noon and I've already had a glass. It's 5 o'clock somewhere! Gotta love bf jeans and heels! Great combo! you're working the neon, love it! Work it mama! I love this look and the pop of color the shoes give the whole look. You are hot! Love the outfit! Love the look and of course shoes! Those shoes and belt are to die for! So cute and I love that lipstick. Is it an orange/ coral color? Your skin is amazing!!! Any special tips? Love this outfit! The top and neon accessories are super cute! I really love your boyfriend jeans too....I need a pair! Very cute look. You can pull it off. I couldn't because I can't walk in heels. But I wish I could. Love the pumps. I am not a super curvy girl, not tiny in the waist, but these jeans are comfortable for me and better than any I have ever owned. I like the fact that they don't ride too low in back, but a little lower in front.